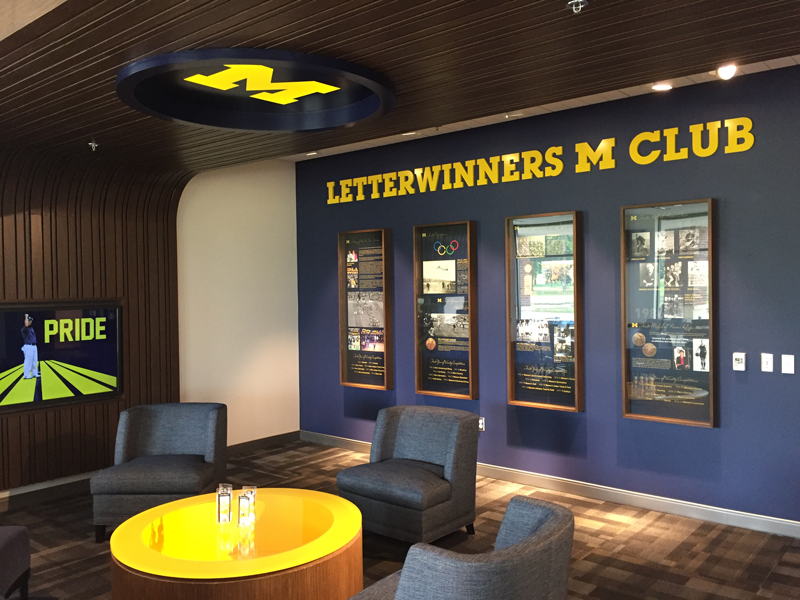 Join your fellow Letterwinners in the M Room at the Richard L. Postma Family Clubhouse on football gamedays! This is a FREE benefit to current members with a suggested $5 donation for their guests. Get out of the heat, rain or cold and enjoy snacks, seats, TVs and indoor restrooms!